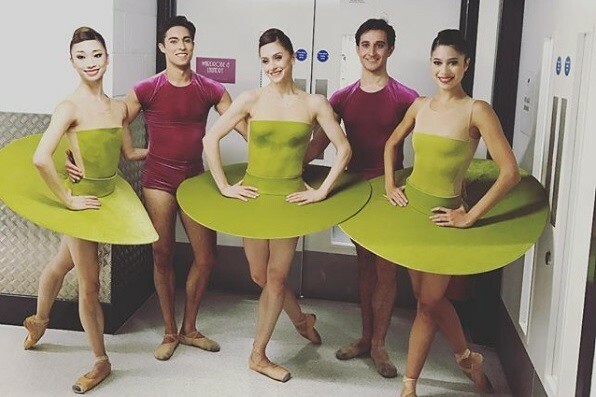 As part of this year's UK City of Culture celebrations, The Royal Ballet were in Hull last weekend to perform in a gala to reopen the New Theatre. To see more behind the scenes photos from The Royal Ballet, follow @royaloperahouse on Instagram. I'm very glad that the event was such a huge success and that the theatre has been reopened. But I am bitter that loyal fans of the Royal Ballet and Friends of the Royal Opera House living in Yorkshire and Humberside, like me, were unable to get tickets. I changed my holiday plans for September the day the event was announced and went on line 30 minutes before booking opened, to no avail. Why couldn't ROH Friends have had a ballot, e.g. for 10 seats, for Friends living in the region? Why wasn't the screening streamed? Once again ballet fans in the North are neglected. There was indeed a large number of people trying to get tickets and we were sad that not everyone could be accommodated to meet demand. We very much wanted to reach people who don’t have the opportunity to see The Royal Ballet live in London and did explore cinema screenings, the arrangements for which proved to be prohibitive in the end although we were able to transmit locally to the Queens Gardens. We’re very sorry for the disappointment and appreciate the ballot suggestion which in retrospect would have been a good idea to acknowledge the support of our valued supporters. Thank you for putting up these photos. There are so many people who would have loved to see the performance in Hull. Has consideration been given to making the film of the 'live' relay available to view online? I could not attend. Thank the Lord , I have seen these incredible artists on stage. What is wonderful for me , as a Northerner , is that the artists of the Royal Ballet have come north of Watford twice within a month ! Was there a film/live relay? I would love to have seen this performance. There was a relay to Queens Gardens nearby, but unfortunately we weren't able to transmit it more widely. Sorry to disappoint on this occasion. It was a fabulous evening. Great to see the Skelton Hooper Alumni dance in their home City. Thanks for sharing great photos - could the live streaming not be put on Youtube or this site so we can see - at least the Two Pigeon pas de deux with Steven McRae and Lizzie Harrod. This would allow local Friends and ballet fans who couldn't get tickets or attend the outside screening to see the performance. Would have been nice to have had 3 shows in the New Theatre, perhaps- there's clearly a huge demand to see the company there. Not even the biggest opera and ballet stars sell out at Covent Garden so quickly - in less than an hour!